Laser effects by TLC Creative, of Los Angeles, creates a high-energy impression in a new ad campaign about the excitement of Las Vegas. TLC provided the lasers for the new ad for Destination Las Vegas, and has been very active bring lasers to recent ads for Xfinity, the tv show Parks and Recreation, as well as corporate and private special events, and TLC lasers are in the new movie with Seth Rogen “NEIGHBORS”. The commercial features suburban houses representing Las Vegas landmarks. The DJ type figure is energized by the laser beams creating a rave nightclub atmosphere. 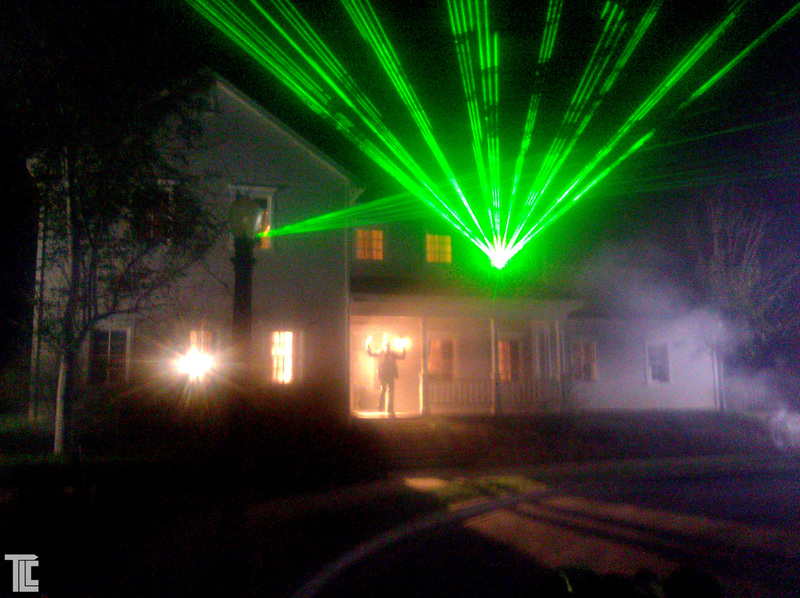 Aerial laser effects burst from the house representing Las Vegas laser spectaculars. 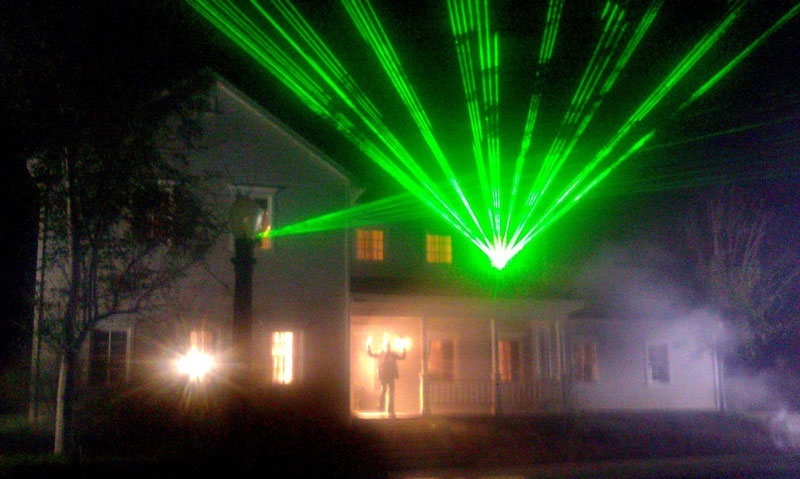 One house looks like LUXOR, another house has a rave with lasers coming out! Ultra bright, high powered lasers were used by TLC Creative to create the fun filled laser entertainment found in Las Vegas. In the Las Vegas ad, aerial laser beam effects by TLC come bursting out of a house, and show lasers as a high-energy way to show someone as pumped up as a Vegas show! TLC Creative provides laser excitement for any occasion including television commercials, music videos, live concerts, corporate events, Bar Mitzvahs and weddings. The imagination is expanded by TLC Laser effects. Laser shows can feature beam effects or projected laser graphics and laser animations, with custom soundtracks. Lasers by TLC illuminate and create a unique kind of entertainment unlike anything else. Music videos by David Guetta, Usher, Miley Cyrus, Black Eyed Peas, are filled with TLC’s creative laser effects.